Ralph McNiven is a co-owner of The Tennis Academy. He is a certified Level 2 coach with Tennis Canada. Ralph has over 25 years full time coaching experience from beginner to nationally ranked players. Ralph was the Head Men's Tennis Coach for the University of Calgary Dino's team for 15 years. Jeff is a co-owner of The Tennis Academy. Aside from holding the highest certification in the USPTA he is also the only tennis coach in Alberta to ever attain a level 4 certification with Tennis Canada. Jeff is a former National Coach and in 2009 he was proudly inducted into the Tennis Alberta Hall of Fame. Alex is a co-owner of The Tennis Academy and a certified Level 3 coach with Tennis Canada. Alex has over 26 years experience coaching national and international players and is a former National Under 8 and Under 10 coach for Tennis Alberta. Garcia has over 20 years of coaching experience. Garcia was a National Jr Team member for Jamaica from the ages of 14 - 18. Garcia has his Professional Coach rating with the USPTA and has been coaching at The Tennis Academy for the past 8 years. 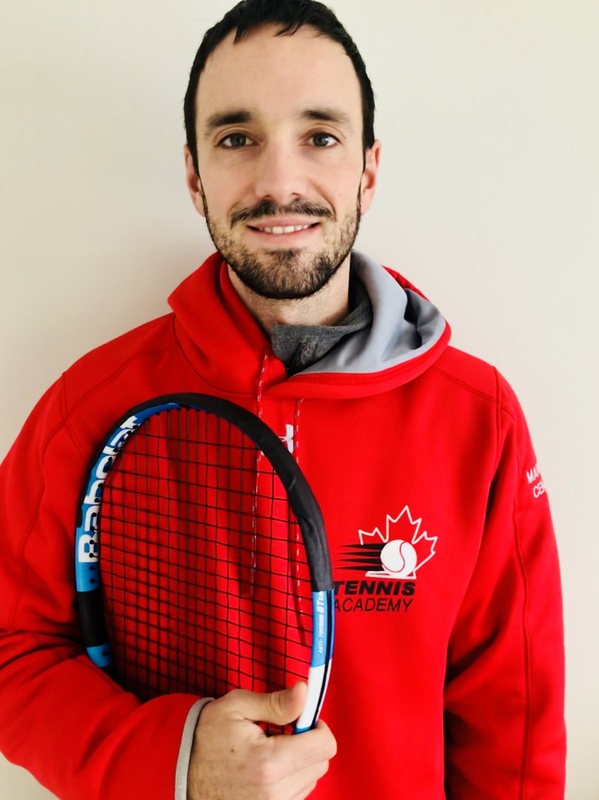 Will is a certified Level 2 coach with Tennis Canada and has been coaching for over 12 years. He has worked with players of all ages and abilities from beginners to NCAA division 1 players. Marin has been a high performance coach for 10 years working overseas with several top junior nationals and elite players from France and Australia. He has also won multiple open tournaments as a player, he has a Master’s degree in Sport Sciences and has been certified by the French and Australian Federation. Willie delivers all of The Tennis Academy`s grassroot programs and has his Club Pro 1 certification with Tennis Canada. Willie has taught over 20,000 children the sport of tennis through the school programs he instructed in Kelowna and now runs for The Tennis Academy. Kevin has been coaching tennis for over 25 years. He is a member of the USPTA and USPTR and has won several National titles. Kevin attended university in Texas on a scholarship where he received a Bachelors of Arts. He also holds a Bachelor of Education. Alec is a certified Level 1 Coach. He has been playing competitively at The Tennis Academy for the past 11 years. He is a former member of our National Team and has been coaching at the club for the past 3 years.